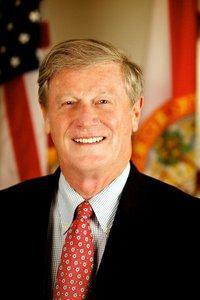 Florida State University is expected to pay its incoming President John Thrasher $430,000 a year. A draft of the proposed contract has Thrasher starting his new job November 10. The Florida State University Board of Trustees will meet Monday in a conference call to talk about the proposed employment contract with state Senator John Thrasher. He’s expected to be reelected. He says he will step down after the election as long as the university system governing board approves his appointment to the FSU job. The proposed contract gives Thrasher a $430,000 base salary, which puts him around the middle of what other Florida public university presidents are currently paid. Thrasher could also earn bonuses for meeting performance goals, but if he falls short, he could lose 10 percent of his salary. 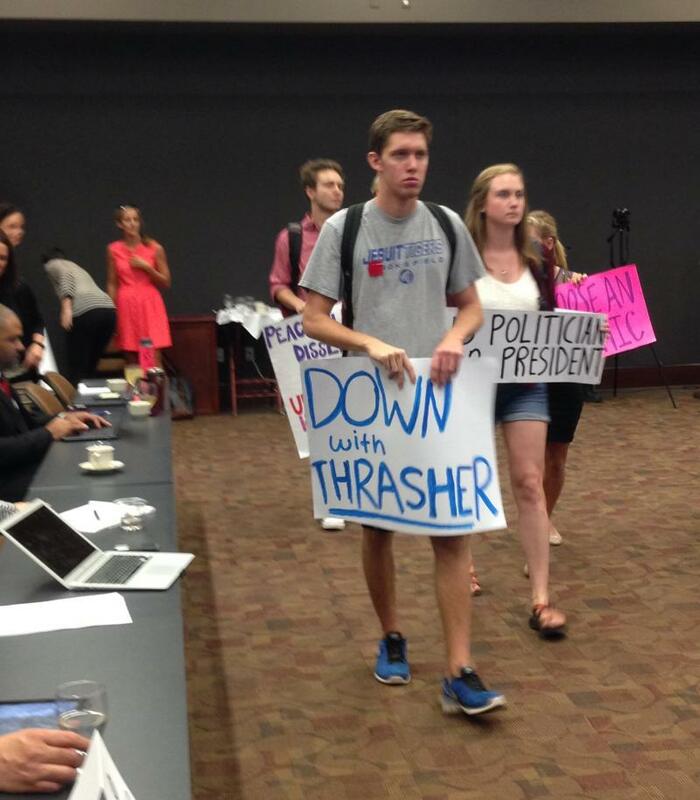 Florida State University student groups are hoping to get the state Board of Governors to block the presidential confirmation of state Sen. John Thrasher (R-St. Augustine). The groups and several faculty members have protested at every step of the search process this year, at one point leading to the resignation of the school’s original search consultant. 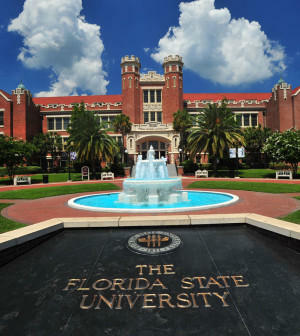 This week Florida State University picked Sen. John Thrasher (R-St. Augustine) as its next president. 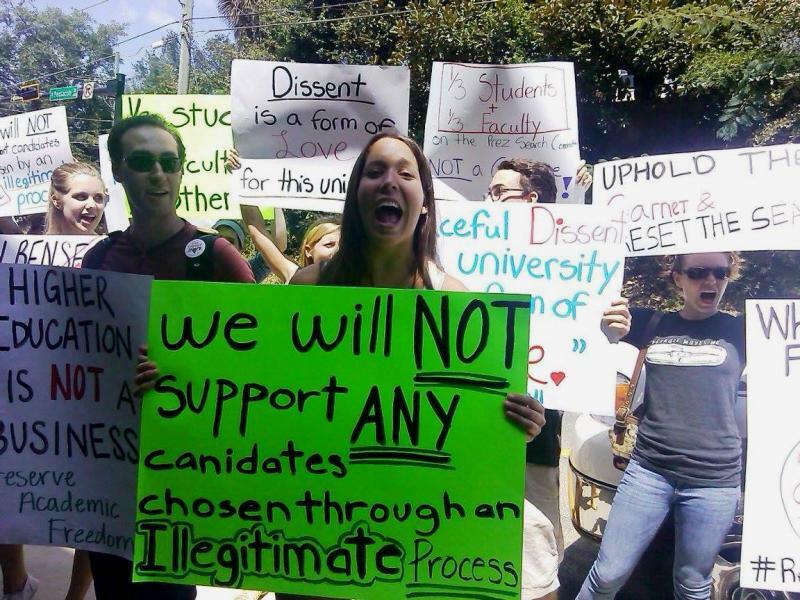 His selection follows months of discord as some FSU faculty and students demanded the role be filled by an academic instead. On Monday and Tuesday, those tensions boiled over at a turbulent final two search meetings. Who better to convey the drama of FSU’s presidential search than someone who masters dramatic flair for a living? Enter Matthew Lata. Two of the most prominent candidates hoping to lead Florida State University, state Sen. John Thrasher (R-St. Augustine) and FSU Interim President Garnett Stokes took their turns in front of the presidential search committee Tuesday. But one of them hasn’t made it to the final list.